Walmart has been investing heavily in Software App. developing companies to strengthen their e-commerce offering. Yihaodian is a Chinese online grocery business founded in 2008 by 2 former colleagues of Dell Computers. Yihaodian has virtual stores that exhibit images of stocked grocery shelves on walls and other surfaces in urban public areas in China, which passersby can scan codes under the images with a mobile device to purchase corresponding groceries online. Walmart owns 51% of Yihaodian, which clocked revenue of $1.9 Billion in 2013. The website has a range of over 3.4 million SKUs, including fresh, grocery and non-food categories. A key differentiator is that products are priced 3-5% lower than other supermarkets, while offering national coverage across China. The Palm Yihaodian app is a key focus for innovation, providing flexibility for shoppers – past initiatives include QR code shopping walls and AR supported virtual stores. Yahaodian’s recent partnerships include pure play bookselling giant Dangdang, enabling it to expand its offer, and grocery retailer SPAR Shanxi, providing on offline presence and greater flexibility for shoppers. Yihaodian has built its systems around the complex delivery of food orders. This forms solid foundations as it continues to expand into a broader range of categories. Achieving meteoric growth as it scales up its operations, the speed in which Yihaodian is turning new ideas into practice is impressive: new categories, new ways to engage shoppers and new ways to fulfil orders. Rakuten is a $4.6 Billion company based in Japan and is part of a wider online ecosystem, which also includes travel, banking and other services. Rakuten SuperPoints unite the sites and can be earned across them all. Rakuten has ambitious international growth plans, with marketplaces in Japan, Malaysia, Thailand, Singapore, Taiwan, Brazil, US, Spain, UK, Germany and France. Fresh groceries are currently only available in Japan. RakutenMart is supported by company-owned distribution facilities and offers next day delivery and speciality gourmet foods. The company recently opened a café in Tokyo, with a menu comprising the most popular snacks sold online, together with ereaders and free Wi-Fi. The marketplace model is standard for online retail in Asia. What Rakuten does well is to unify the experience, offer shop-in-shops for brands and integrate new technology and social elements such as the facility to ‘shop with friends’. Rakuten’s acquisitions give the company huge potential to integrate more social, video and online content into its shopping experience. Related items for most products helps recreate physical store environment for shoppers. Given pick model, shoppers are warned when items are likely to be substituted. Functionality to ‘shop with friends’ and share basket promotes co-buying and larger baskets. The model is unique in online grocery. The software is smart and aggregates orders to improve efficiency. A tip system motivates ‘personal shoppers’ so quality of experience remains high. One challenge this business faces is its reliance on delivery charges for revenue, so the uptake of the ‘prime’ service could make or break its popularity. 1. Delivery charges: This will always be a barrier as most shoppers wouldn’t want to waste $5 – $20 on paying delivery charges. Most shoppers don’t calculate the value of time, or they haven’t started as yet. 2. Discount Country: In a Hi-Low price market such as Canada, a lot of shoppers cherry-pick in stores and choose brands based on discounts available. The discounts on food are most between 20-50% off the shelf price. Online shoppers will always feel they are missing out on these offers. Also, not all the promotions in store are offered online. So as an online shopper not only am I paying for delivery, I am most probably also paying more for the items or categories I buy. 3. Impulse Purchase: A number of items in every physical shopping basket are purchased on impulse. Categories such as snacks or confectionery are purchased on impulse most of the time. Impulse items will suffer with Online shopping to a large extent. 4. Fresh Produce & Meats: Shoppers typically want to touch and feel the fruits and vegetables they buy. They also want to make sure they can visually inspect the meat they buy. Online shopping currently does not offer these options. 5. Entertainment Value: A number of people treat grocery shopping as weekly entertainment. They enjoy browsing and trying new items and choosing the right brand out of all the options. 6. Shelf life: Another aspect that online does not offer. A number of items are date sensitive and you’ll very often find shoppers pick the carton of milk with the latest production date. The truth is that online shopping will never replace a full shop expedition. Those occasions may survive for a long time. It’s the fill-in shopping occasions that are at risk. 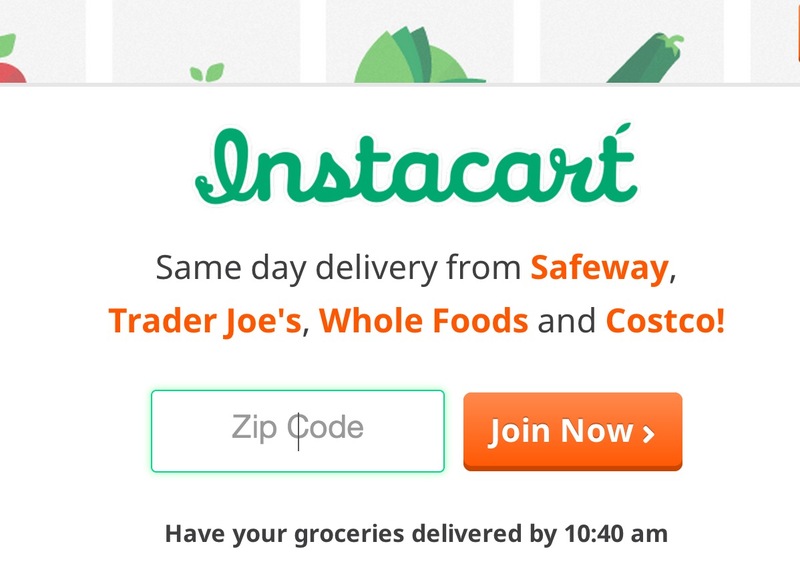 Online stores that offer a value option for convenience trips will win for sure. It sends one back a few decades when the small neighbourhood grocery stores that used to deliver even 1 tomato if you called. EDLP and No delivery charges! Walmart USA offers click & collect service in select stores in Colorado & Northern California. 3 parking slots are reserved on the side of the store for pick up service. Once a shopper arrives, they need to call a number and a WM Associate delivers the order to their car. WM Associates pick products from these special “To-Go” stores. A handheld device tells them what to pick and which shopping bin to put it into. Another new format is called “Project Drive”, which is a 15,000 sq. ft. “drive-in” grocery center with 33 parking spaces. Consumers shop online for Groceries anmd schedule a pick-up time. They drive up to a kiosk and receive a parking slot #. WM employees bring the customers groceries to their car. You can start shopping at 11 Main now. Watch out Amazon! IGD article by Vanessa Henry reproduced and edited by the Author. 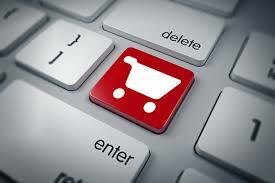 27% of British grocery shoppers claim to have bought some of their food and groceries online in June. This is the highest level to date, and compared to 22% who said the same three years ago. We’ve also seen an increase in the number of shoppers who claim to buy most of their grocery shopping online – 10% compared to 7% in 2010. This also means that over a third of claimed online grocery shoppers are using the channel for the majority of their shopping. This trends looks set to continue – nearly half (47%) of all main grocery shoppers say they would like to use the online channel for their grocery shopping in the next two to three years. This represents a significant opportunity for growth. IGD’s brand new UK grocery market forecasts show that the online channel will more than double in value to £17bn, and will be worth 8% of the market, in 2019. Compared with this, I would estimate the Canadian online grcoery market is at 0.5% of a roughly $100 Billion grocery industry. Much of the channel’s recent growth in UK has been boosted by some significant developments in the market in 2014. For example, at the start of the year Morrisons launched its new internet service. The retailer has a couple of distinctive features in its service including expert reviews on its fresh produce and a particularly tailored approach its online butchery. At the same time, other retailers have enhanced their websites. Click & Collect has also become a real buzz theme in the channel, and is helping to boost significant interest. Asda and Tesco were the first to introduce a grocery Click & Collect service a couple of years ago, mainly located in their store car parks. Both retailers have subsequently broadened their collection points to other locations such as business parks and Tube stations in London. Sainsbury’s has also just announced they are to launch a similar service at certain Tube stations in London. What I think is really interesting about the Click & Collect service is it allows retailers to target particular shopper groups not already in their catchment area. It also appeals to those shoppers who may have been put off by the traditional home delivery model as it might not have been convenient for them to wait at home to receive orders.